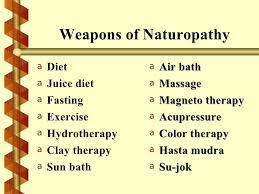 Naturopathy is a distinct system of primary health care, an art, science, Philosophy, and practice of diagnosing, treating and preventing disease. Naturopathy physicians seek to restore and maintain optimum health. Naturopahy is defined by principles rather than by methods or modalities. Diagonistic and therapeutic methods are diverse and will continue to evolve as knowledge of health and diseases expand. Naturopathy or naturopathic medicine is a form of pseudoscientific, alternative that employs an array of practices branded as “natural”, “non-invasive”, and as promoting “self-healing”. The ideology and methods of naturopathy are based on vitalism and folk medicine, rather than evidenced-based medicine. Naturopathic practitioners generally recommend against modern medical practices, including but not limited to medical testing, drugs, vaccinations and surgery. Instead, naturopathic study and practice rely on unscientific notions, often leading naturopathic doctors to diagnoses and treatments that have no factual merit. Naturopathic practice is based on a belief in the body’s ability to heal itself through a special or force guiding bodily processes internally. Diagnosis and treatment concern primarily alternative therapies and “natural” methods that naturopaths claim promote the body’s natural ability to heal. Naturopaths focus on a holistic approach, often completely avoiding the use of surgery and drugs. Naturopaths aim to prevent illness through stress reduction and changes to diet and lifestyle, often rejecting the methods of evidence-based medicine. A consultation typically begins with a lengthy patient interview focusing on lifestyle, medical history, emotional tone, and physical features, as well as physical examination. Many naturopaths present themselves as primary care providers, and some naturopathic physicians may prescribe drugs, perform minor surgery, and integrate other conventional medical approaches such as diet and lifestyle counseling with their naturopathic practice. Traditional naturopaths deal exclusively with lifestyle changes, not diagnosing or treating disease. Naturopaths do not generally recommend vaccines and antibiotics, based in part on the early views that shaped the profession, and they may provide alternative remedies even in cases where evidence-based medicine has been shown effective. Naturopaths are often opposed to mainstream medicine and take an anti vaccinationist stance. The particular modalities used by a naturopath vary with training and scope of practice. These may include herbalism, homeopathy, Acupuncture, nature cures, physical medicine, applied kinesiology, colonic enemas, chelation therapy, color therapy, cranial osteopathy, hair analysis, iridology, live blood analysis, ozone therapy, psychotherapy, public health measures and hygiene, reflexology, rolfing, massage therapy, and traditional chinese medicine. Nature cures include a range of therapies based on exposure to natural elements such as sunshine, fresh air, or heat or cold, as well as nutrition advice such as following a vegetarian and whole food diet, fasting, or abstention from alcohol and sugar. Physical medicine includes naturopathic, osseous, or soft tissue manipulative therapy, sports medicine, exercise, and hydrotherapy. Psychological counseling includes meditation, and other methods of stress management. Naturopathy deals with the healing power of nature since it believes that all healing powers are within your body. This means that within every human organism there is a healing energy, which includes our immune system in the fuller sense of both the physical and the psyche, which is responsible for our wellness and our ability to heal and maintain health. Since we fall ill only when we go against Nature, the cause of diseases (toxins) is expelled from the body to cure it. Fasting has been described as Nature’s way to recover. A thorough rest, which includes fasting, is the most favorable condition in which an ailing body can purify and recoup itself. Acupuncture, Acupressure, Air therapy, Juice therapy, Hydro therapy, Chromo therapy, Magnet Therapy, Mud Therapy, Mudra Therapy, Pyramid Therapy, Color Therapy, Masso therapy, Fasting therapy, Yoga and Diet therapy are some form of therapies for natural healing. For all therapies mentioned have many benefits but various precautions are to be taken while practicing these therapies. Naturopathy is an art and science of healthy living and a drugless system of healing based on well founded philosophy. It has its own concept of health and disease and also principle of treatment. Naturopathy is a system of man building in harmony with the constructive principles of Nature on physical, mental, moral and spiritual planes of living. It has great health promotive, disease preventive and curative as well as restorative potential. All diseases, their causes and treatment are one. Except for traumatic and environmental conditions, the cause of all diseases is one i.e. accumulation of morbid matter in the body. The treatment of all diseases is elimination of morbid matter from the body. The primary cause of disease is accumulation of morbid matter. Bacteria and virus enter and survive in the body only after the accumulation of morbid matter when a favorable atmosphere for their growth is established in body. Hence, the basic cause of disease is morbid matter and bacteria secondary causes. Acute diseases are self-healing efforts of the body. Hence, they are our friends, not the enemy. Chronic diseases are outcome of wrong treatment and suppression of the acute diseases. Nature is the greatest healer. The human body itself has the healing power to prevent itself from disease and regain health if unhealthy. In Nature Cure it is not the disease but the entire body of the patient which is caused and is renewed. Naturopathy Cures Patients suffering from chronic ailments are also treated successfully in comparatively less time by Naturopathy. In Nature Cure the suppressed diseases are brought to surface and are removed permanently. Naturopathy treats all the aspects like physical, mental, social and spiritual at the same time. Naturopathy treats the body as a whole. According to Naturopathy, “Food is only the Medicine”, no external medications are used. No harm should be inflicted on the body or any of its organs. 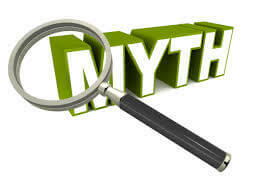 As much as possible, no or less intrusion and side-effects should occur. It encourages and enforces that natural capability of the human body to heal itself. Determine the root cause of the ailment. Naturopathy is not satisfied with providing relief to pain and other symptoms. It aims to go to the root of what causes them, and then provide treatment and the best possible solution. Your doctor is your teacher. Since naturopathy considers the human body’s natural healing capability, the patient or the person himself/herself is still the focal point and main harbinger of his/her recovery. Prevention is the best cure. Naturopathist emphasize the proactive treatment of disease rather than the reactive procedure. Maintaining and reinforcing good health to avoid illness is still the best. This is done by evaluating and dealing with the historical, hereditary, and existing environmental risk factors of the patient’s susceptibility to sickness. Consider the wholeness of the person when providing treatment. As mentioned, the overall aspects that contribute to human health are taken into account – physical, mental, emotional, genetic, environmental, and spiritual. Encourage the body’s natural healing prowess. As explained in previous paragraphs, naturopathy aims to help the patient recover from illness and attain wellness by reinforcing the body’s natural process of healing itself. The natural choice for your family’s health care. Naturopathic treatment rarely conflicts with mainstream medical treatments or prescriptions, and Naturopaths are trained to understand the interactions between natural and mainstream medical treatments and prescriptions. Choosing to see a naturopath does not mean you need to pick having a naturopath over a medical doctor, nurse practitioner or any other healthcare provider. Though naturopaths and mainstream medical doctors may look at your case in different ways, this diversity is valued. After all, two heads are better than one! Graduates from an accredited naturopathic college receive the title naturopathic doctor (ND) or doctor of naturopathic medicine, and must pass rigorous licensing and board examinations to be eligible to practice as a doctor of naturopathic medicine. Naturopathic Medical education includes training in the basic sciences, clinical sciences, as well as naturopathic treatment tools like acupuncture, homeopathy, herbal medicine, nutrition and IV therapy. Major difference between a Homeopath and a Naturopath is all Homeopaths only use homeopathy as a treatment tool, that is dilute medicines placed on sugar pills. In contrast, Naturopathic doctors may use homeopathy as one of many treatment tools. There is a growing body of scientific evidence supporting Naturopathic medicine as well as many of the therapies and medicines used. Naturopathic medicine is also becoming mainstream health care choice. Naturopaths rely on lab tests, clinical observations, physical exam, and logical analysis, as well as traditional medical knowledge, which is increasingly being studied in the scientific literature. Sometimes a combination of a natural approach and a conventional approach can work very well together, and sometimes a conventional approach is truly the best option. Naturopathic doctors (NDs) are trained to avoid interactions between the medicines and therapies and recommends conventional medicines and therapies. The safety record of Naturopathic Medicine is excellent. Naturopaths approach is a bit different than mainstream medicine. As opposed to shutting off symptoms like pain, or a running nose due to allergy, Naturopaths work to get to the root of your health concerns. Many disease processes are a product of how we’ve lived our lives over the past 20, 30, 60 years. A general rule is – think of how many years you’ve had this health condition, and give your naturopath at least the corresponding number of months to help you resolve your health concern. So if you’ve had those pesky headaches for 5 years, give it at least 5 months. This approach may be inconvenient in the short term, but ultimately it empowers you to take an active role in your healthcare and make new habits that support your health long term. Naturopaths can treat many health conditions that have a big impact on your health and your quality of life, or they can also simply work at improving your quality of life if cure is not possible. Naturopaths can address many of the acute (sudden) or chronic (long-standing) health conditions you have, and are trained as primary care providers much like your family doctor or specialists. Its partly true since we are not used to spend for our own health. And, many of us are not aware of the costs associated with this vital service. Conclusion : Human body has a tremendous disease healing power. Provide it a chance to heal itself. Nature cure allows the body to use this power to cure the disease. It also ensures the maintenance of health on a long-term basis. It is the best way to get rid off the 3-D effects – the Disease, the Doctor, and the Drug.